WELCOME TO FAMILIES IN FOCUS! At Families in Focus we’re here to help you make the first steps to a better tomorrow. We are a therapy and counseling company located in St. Peters, Missouri… Watch our video to learn all about us! Seeking help with personal concerns is a decision that takes courage and should not come with additional worry or embarrassment or financial strain. You can trust that everything discussed during your counseling will be kept confidential. Our fees are affordable enough to fit any budget. Our therapists accept most insurance plans and will file your claim for covered services. We have therapists, counselors, and coaches available at convenient time: weekdays from early morning through the evening and Saturday. I thank you for all you did for me, and being the kind and understanding. Keep up the good work. I’ve been going to Families in Focus nearly a year and the counselors are kind, compassionate, and non-judgmental. they always makes me feel welcome and comfortable. The staff is always friendly and accommodating. I always look forward to my visits and feel like I have accomplished something when I leave. I really enjoy the monthly women’s meetings at Families In Focus. Everyone is friendly and compassionate. It’s a safe place to share trials and triumphs with other women who understand. We listen, we encourage, we learn, we sometimes cry and we always laugh! I only wish it were more than once a month! Families In Focus has helped me to realize my strong points and how to work on my weaknesses. Doing so, (though it is tough at times), has made me look at things through different eyes and begin to react in a more positive way instead of self defeating actions. It is rough at times, but the understanding and guidance of they have made the transition easier. Families In Focus really help me by providing a listening ear when I have nobody else to let off steam to. they give me encouragement to do whatever I feel that I need to do when my family is too busy to care about my needs. When I don’t know what to do in my life and can’t decide how to handle my problems, they talk to me and help me to decide the best way for me to handle my problems. They don't give me the answers, but help me to find the answers within myself. Families In Focus seems to be a safe port in a storm. Families In Focus have very well qualified therapists. They have been a very big help to me through a traumatic period of my life. I would recommend them to anyone needing understanding and guidance. Families In Focus have been very supportive. I have a lot of confidence in their abilities to deal with my ex-husband and the issues that surround the custody of my children. The divorce has been a difficult one because of my ex-husband’s inability to respond to the needs of our children. Families In Focus have been able to mediate a reasonable existence between us two parents. Families In Focus has also been a healthy influence in the children’s lives in helping them express their feelings and cope with the changes. They use humor and skill and meets the children on their own levels. The children love them. I would recommend them to other families experiencing custody problems. We have had other experiences with therapists from which to compare their services and they are the best. Families In Focus are personable, attentive, encouraging, positive, and inspiring. I think I have been helped immensely. I came to them feeling hopeless, tired, depressed, and lost. Now, several months later I am feeling hopeful again. I feel able to face the changes in my life and their challenges. Because of Families In Focus belief in me and the therapy, I feel hopeful that I can have a productive life even though it will be a different life than before. I feel that the therapy I have had with Families In Focus has made a difference in dealing with my co-workers, my boss, as well as my family. I have benefited greatly from the therapy and I wanted to let you know that I have recommended you strongly to some colleagues with personal and professional problems. Families In Focus, you are good! Families In Focus has been a source of light in my darkest days! Because of their sense of humor and gentle manner, I have made more progress than I ever thought possible. I have recommended Families In Focus to several of my associates who have expressed interest in dealing with their highly personal issues. I look forward to our continued work together because I grow each time I see them. I am finally in touch with my life. I am truly thankful for their skill. The experience I have had has been pleasant and rewarding. They take the time to know you so the process is helpful and beneficial. Throughout this time I have felt I was listened to and understood in a way that I have not experienced before. I am truly grateful for the help I received; it has made a tremendous difference in my life. Families in Focus has made my appreciation for life, my friends, and family much greater. I am now able to take life step by step any not let the little things get to me so often. Our experience with Families in Focus was outstanding. They are very attentive and helpful and showed us excellent ways to improve our relationship and our lives. 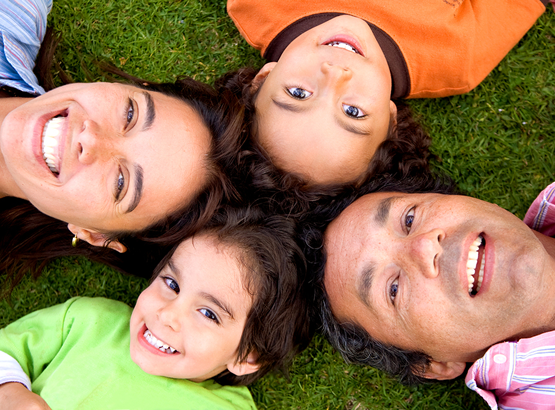 We would highly recommend Families in Focus to anyone seeking to improve their relationship. The sessions with Families In Focus have helped me to gain clarity on issues that were causing me stress and unhappiness in my life. It has helped me to finally take those steps that I needed to bring about the life I wanted and deserved to have.